Candi Manning here, Dr. Manning's wife. I've hijacked the blog today to tell you how excited I personally am over the new laser leg vein removal treatment with ICON™ offered through AccessMedicine. 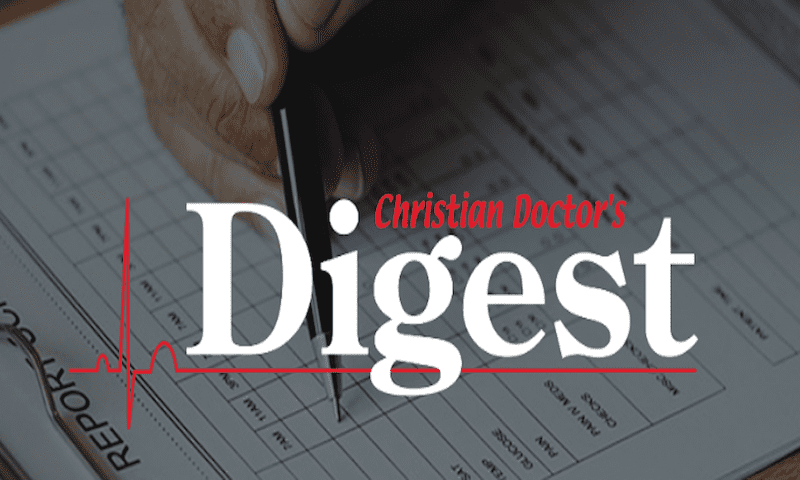 I began getting unsightly, blueish leg veins as early as my college days and 2 pregnancies later, including a set of twins, plus my yo-yoing weight gain over the last 16 years has only worsened those troublesome anomalies. Enter AccessMedicine's newest laser technology, laser vein removal treatment with ICON™. 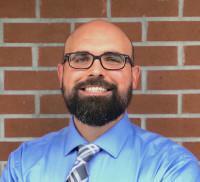 This treatment is a game changer for me and could be for you as well! I have hidden in capris and long pants for years, being embarrased to show my bruised looking legs in shorts and begrudgingly baring them in bathing suits. I promise, Dr. Manning did not just order this machine for me, but he knows first hand how beneficial this service can be for people who feel horrified by the appearance of spider and reticular veins. Below you'll find some basic information about laser vein removal treatments with ICON™. Laser energy passes through the skin and into the vein. The energy is absorbed by the blood, destroying the vessel. The vessel will disappear, restoring the skins' natural appearance. It is ideal for spider veins and reticular veins. Expect to see improvement in the appearance of your leg vein immediately following the treatment. The treatment takes less than 30 minutes. 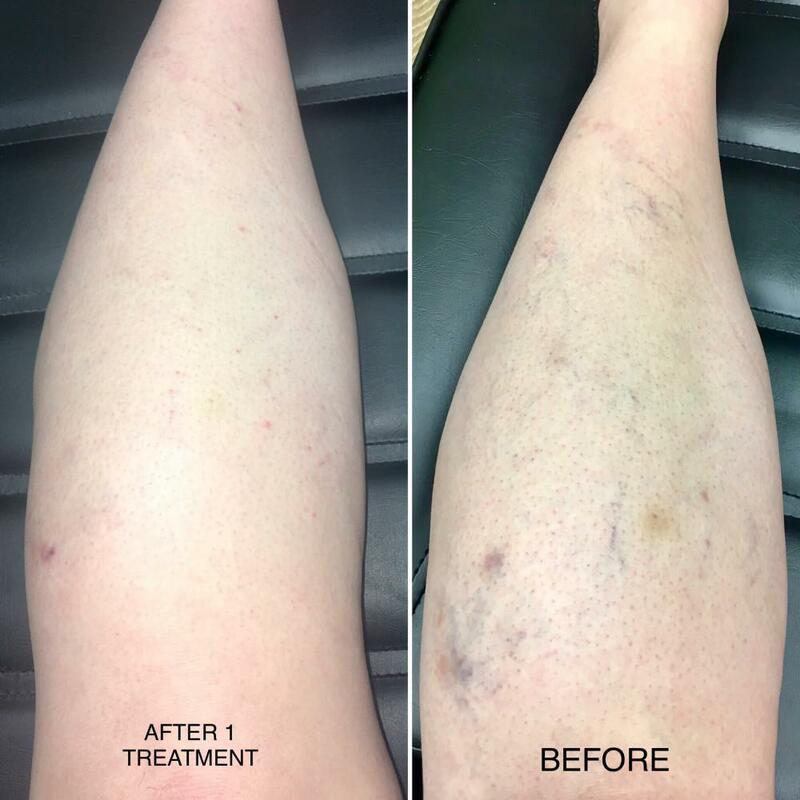 A few treatment sessions may be needed to fully clear blood vessels and reduce the appearance of leg veins completely. Patients describe a range of sensations from tingling to the snap of a rubber band during the procedure. Typically, there is no downtime and you can return to your daily activities immediately following the prcedure. I'm going to be vulnerable here and share some before and after pictures of the areas that Dr. Manning treated on me recently. 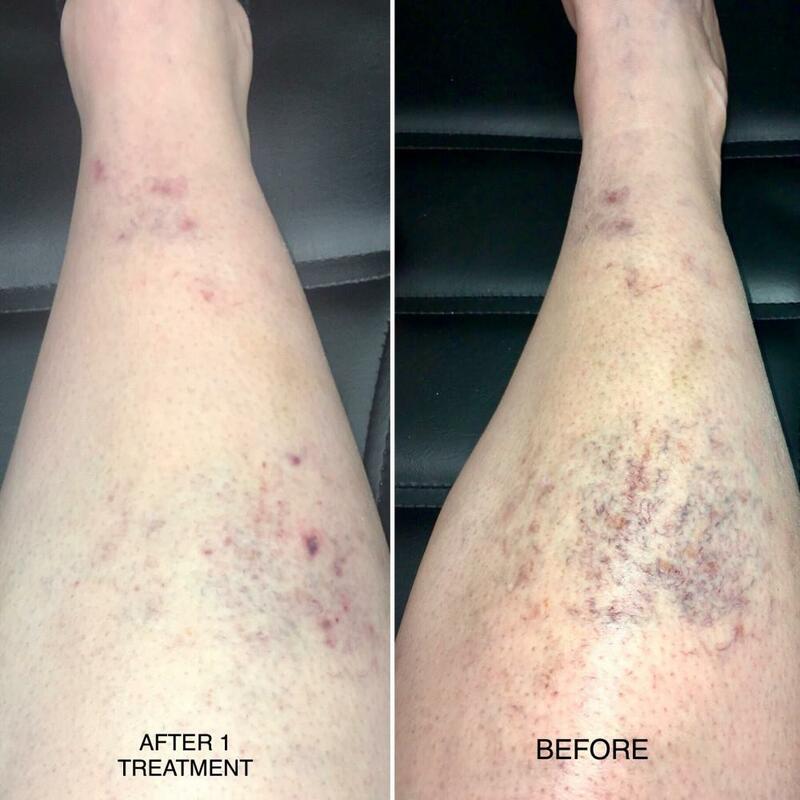 These pictures are taken two days apart, so you can still see some bruising, which will heal over time, but you can really see a difference after just one full treatment. I have a few areas that are densely stacked with layers of veins, so I will require multiple treatments to get full clearance, but I am so hopeful that I won't have to be hiding this summer and can feel more confident. If you're interested in finding out more regarding laser vein removal treatments with ICON™ give us a call today to schedule your free consultation at 252-802-4600. 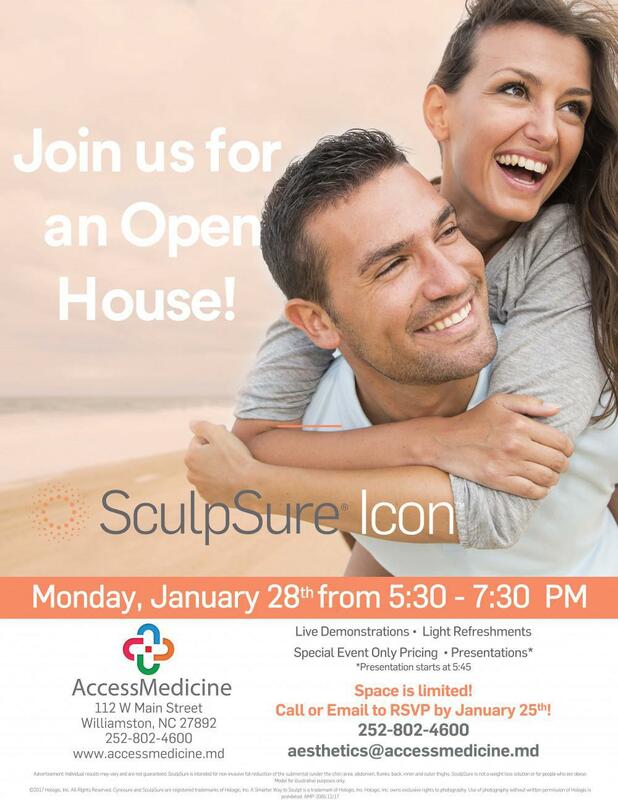 Our first SculpSure & Icon Open House was such a hit that we're bringing it back! 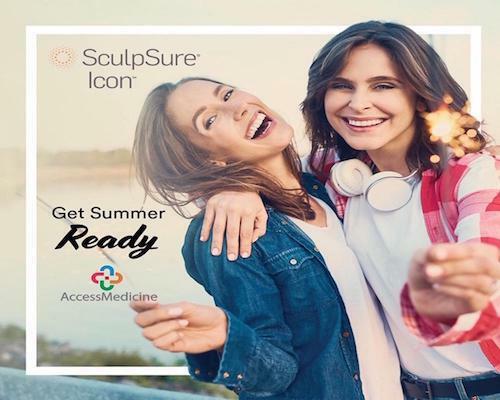 Mark your calendars for April 25th and get summer ready with SculpSure & Icon!